Every national academy of science of every major country in the world agrees. Every professional scientific society in every field related to the field of climate endorses it. 97-98 percent of all scientists that are most active in publishing in the field of climate science agree with it. The consensus is unequivocal: human activities are causing climate change. This overwhelming consensus among climate scientists has been confirmed by an independent study which surveyed all climate experts who have publicly signed declarations supporting or rejecting the consensus and found between 97% to 98% of climate experts support the consensus that human activities are causing climate change (Anderegg 2010). Most striking is the divide between expert climate scientists (97.4%) and the general public (58%). The paper concludes: "It seems that the debate on the authenticity of global warming and the role played by human activity is largely nonexistent among those who understand the nuances and scientific basis of long-term climate processes. The challenge, rather, appears to be how to effectively communicate this fact to policy makers and to a public that continues to mistakenly perceive debate among scientists." Moreover, a new survey (see also) of over 12,000 peer-reviewed climate science papers by the citizen science team at Skeptical Science has found a 97 percent consensus in the peer-reviewed literature that humans are causing global warming. There are no national or major scientific institutions anywhere in the world that dispute the theory of anthropogenic (human-induced) climate change. Not one. Learn more. "The world is warming because of human activities and this is resulting in far-reaching and potentially irreversible impact on our Earth, atmosphere and oceans." ~Secretary-General Michel Jarraud, WMO Learn more. Prior to the above survey, a survey of all peer-reviewed abstracts (928 of them) on the subject 'global climate change' published between 1993 and 2003 shows that not a single paper rejected the consensus position that global warming is man caused (Oreskes 2004). 75% of the papers agreed with the consensus position while 25% made no comment either way, but none challenged the consensus. Learn more. The National Science Academies, Royal Societies and Scientific Councils of Brazil, India, Russia, Canada, Italy, China, Japan, France, Germany, United States, Mexico, United Kingdom and South Africa have put forth a joint statement, urging global collaboration to combat the negative consequences of anthropogenic (human-induced) climate change, stating: "The need for urgent action to address climate change is now indisputable. It is essential that world leaders agree on the emission reductions needed to combat negative consequences of anthropogenic climate change. Climate change is happening even faster than previously estimated; global CO2 emissions since 2000 have been higher than even the highest predictions, Arctic sea ice has been melting at rates much faster than predicted, and the rise in the sea level has become more rapid. Feedbacks in the climate system might lead to much more rapid climate changes." Learn more. 97.4% of Climate Experts Agree Humans are Causing Global Warming. Distribution of the number of researchers convinced by the evidence of anthropogenic climate change and unconvinced by the evidence with a given number of total climate publications (Anderegg 2010). Click for source. 2010 study by the National Academy of Science that surveyed 1,372 climate researchers indicated that 97-98% believed in man-made climate change. The following scientific organizations endorse the consensus position that "most of the global warming in recent decades can be attributed to human activities"
"Indeed, strong observational evidence and results from modeling studies indicate that, at least over the last 50 years, human activities are a major contributor to climate change. Focusing on the next 30 years, convergence among emission scenarios and model results suggest strongly that increasing air temperatures will reduce snowpack, shift snowmelt timing, reduce crop production and rangeland fertility, and cause continued melting of the ice caps and sea level rise." (February 2007) Learn more. "Emissions of greenhouse gases from human activities are changing the atmosphere in ways that affect the Earth's climate. Greenhouse gases include carbon dioxide as well as methane, nitrous oxide and other gases. They are emitted from fossil fuel combustion and a range of industrial and agricultural processes. The evidence is incontrovertible: Global warming is occurring. If no mitigating actions are taken, significant disruptions in the Earth’s physical and ecological systems, social systems, security and human health are likely to occur. We must reduce emissions of greenhouse gases beginning now." (November 2007) Learn more. "The Earth's climate is now clearly out of balance and is warming. Many components of the climate system—including the temperatures of the atmosphere, land and ocean, the extent of sea ice and mountain glaciers, the sea level, the distribution of precipitation, and the length of seasons—are now changing at rates and in patterns that are not natural and are best explained by the increased atmospheric abundances of greenhouse gases and aerosols generated by human activity during the 20th century. The observed rapid retreat of Arctic sea ice is expected to continue and lead to the disappearance of summertime ice within this century. Evidence from most oceans and all continents except Antarctica shows warming attributable to human activities. Recent changes in many physical and biological systems are linked with this regional climate change. A sustained research effort, involving many AGU members and summarized in the 2007 assessments of the Intergovernmental Panel on Climate Change, continues to improve our scientific understanding of the climate." (Adopted December 2003, Revised and Reaffirmed December 2007) Learn more. "The scientific evidence is clear: global climate change caused by human activities is occurring now, and it is a growing threat to society. Accumulating data from across the globe reveal a wide array of effects: rapidly melting glaciers, destabilization of major ice sheets, increases in extreme weather, rising sea level, shifts in species ranges, and more. The pace of change and the evidence of harm have increased markedly over the last five years. The time to control greenhouse gas emissions is now. The atmospheric concentration of carbon dioxide, a critical greenhouse gas, is higher than it has been for at least 650,000 years. The average temperature of the Earth is heading for levels not experienced for millions of years. Scientific predictions of the impacts of increasing atmospheric concentrations of greenhouse gases from fossil fuels and deforestation match observed changes. As expected, intensification of droughts, heat waves, floods, wildfires, and severe storms is occur-ring, with a mounting toll on vulnerable ecosystems and societies. These events are early warning signs of even more devastating damage to come, some of which will be irreversible. Delaying action to address climate change will increase the environmental and societal consequences as well as the costs. The longer we wait to tackle climate change, the harder and more expensive the task will be." (December 2006) Learn more. "Decades of scientific research have shown that climate can change from both natural and anthropogenic causes. The Geological Society of America (GSA) concurs with assessments by the National Academies of Science (2005), the National Research Council (2006), and the Intergovernmental Panel on Climate Change (IPCC, 2007) that global climate has warmed and that human activities (mainly greenhouse‐gas emissions) account for most of the warming since the middle 1900s. If current trends continue, the projected increase in global temperature by the end of the twentyfirst century will result in large impacts on humans and other species. Addressing the challenges posed by climate change will require a combination of adaptation to the changes that are likely to occur and global reductions of CO2 emissions from anthropogenic sources." (October 2006) Learn more. "Careful and comprehensive scientific assessments have clearly demonstrated that the Earth’s climate system is changing in response to growing atmospheric burdens of greenhouse gases (GHGs) and absorbing aerosol particles. Climate change is occurring, is caused largely by human activities, and poses significant risks for—and in many cases is already affecting—a broad range of human and natural systems. The potential threats are serious and actions are required to mitigate climate change risks and to adapt to deleterious climate change impacts that probably cannot be avoided. Comprehensive scientific assessments of our current and potential future climates clearly indicate that climate change is real, largely attributable to emissions from human activities, and potentially a very serious problem. This sober conclusion has been recently reconfirmed by an in-depth set of studies focused on “America’s Climate Choices” (ACC) conducted by the U.S. National Academies. The ACC studies, performed by independent and highly respected teams of scientists, engineers, and other skilled professionals, reached the same general conclusions that were published in the latest comprehensive assessment conducted by the International Panel on Climate Change (IPCC, 2007)." (2010-2013 Public Policy Statement) Learn more. "The American Geophysical Union (AGU) notes that human impacts on the climate system include increasing concentrations of greenhouse gases in the atmosphere, which is significantly contributing to the warming of the global climate. The climate system is complex, however, making it difficult to predict detailed outcomes of human-induced change: there is as yet no definitive theory for translating greenhouse gas emissions into forecasts of regional weather, hydrology, or response of the biosphere. As the AGU points out, our ability to predict global climate change, and to forecast its regional impacts, depends directly on improved models and observations. The American Astronomical Society (AAS) joins the AGU in calling for peer-reviewed climate research to inform climate-related policy decisions, and, as well, to provide a basis for mitigating the harmful effects of global change and to help communities adapt and become resilient to extreme climatic events. In endorsing the "Human Impacts on Climate" statement, the AAS recognizes the collective expertise of the AGU in scientific subfields central to assessing and understanding global change, and acknowledges the strength of agreement among our AGU colleagues that the global climate is changing and human activities are contributing to that change." (June 2004) Learn more. NOAA: How do we know humans are the primary cause for the warming? "Most scientists agree that the warming in recent decades has been caused primarily by human activities that have increased the amount of greenhouse gases in the atmosphere. Greenhouse gases, such as carbon dioxide, have increased significantly since the Industrial Revolution, mostly from the burning of fossil fuels for energy, industrial processes, and transportation. Carbon dioxide levels are at their highest in at least 650,000 years and continue to rise. The scientific understanding of climate change is now sufficiently clear to begin taking steps to prepare for climate change and to slow it. Human actions over the next few decades will have a major influence on the magnitude and rate of future warming. Large, disruptive changes are much more likely if greenhouse gases are allowed to continue building up in the atmosphere at their present rate. However, reducing greenhouse gas emissions will require strong national and international commitments, technological innovation, and human willpower." (2008) Learn more. "In 2007 the Intergovernmental Panel on Climate Change (IPCC) reaffirmed that climate change is happening and that anthropogenic warming is influencing many physical and biological systems. As the concentration of greenhouse gases increases, these impacts become more severe and spread both geographically and sectorally. To stabilize the climate, emissions should eventually be limited to the net absorption capacity of the earth, which is less than half of current emissions. Immediate large-scale mitigation action is required. Humans have been adapting to their environment throughout history. But the rate and scale of climate change means there is no time for complacency. A step- change in our response is needed, with action at global, national and local level. Local actors must be engaged in impact assessment and in identifying solutions. But global and national leadership is also required to manage the macro-scale effects that will accompany widespread efforts to adapt to climate change." (2007, 13 National Academies of Science) Learn more. "Despite increasing consensus on the science underpinning predictions of global climate change, doubts have been expressed recently about the need to mitigate the risks posed by global climate change. We do not consider such doubts justified." (2001, 16 national academies of science) Learn more. “Warming of the climate system is unequivocal, as is now evident from observations of increases in global average air and ocean temperatures, widespread melting of snow and ice, and rising global average sea level. Most of the observed increase in global average temperatures since the mid-20th century is very likely due to the observed increase in anthropogenic greenhouse gas concentrations.” IPCC defines "very likely" as greater than 90% probability of occurrence. Learn more. "Climate change is occurring, is very likely caused primarily by the emission of greenhouse gases from human activities, and poses significant risks for a range of human and natural systems. Emissions continue to increase, which will result in further change and greater risks. Responding to these risks is a crucial challenge facing the United States and the world today and for many decades to come. Changes in climate and related factors have already been observed in various parts of the United States; and the impacts of climate change can generally be expected to intensify with increasing greenhouse gas emissions. Some projected future impacts of most concern to the United States include more intense and frequent heat waves, risks to coastal communities from sea level rise, greater drying of the arid Southwest, and increased public health risks. Impacts occurring elsewhere in the world can also deeply affect the United States, given the realities of shared natural resources, linked economic and trade systems, migration of species and disease vectors, and movement of human populations. The significant risks that climate change poses to human society and the environment provide a strong motivation to move ahead with substantial response efforts." (2011) Learn more. 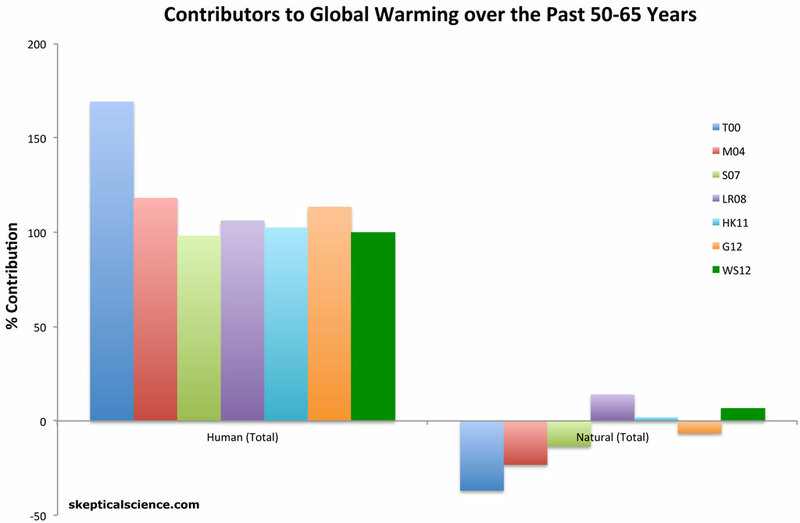 "Global temperature has increased over the past 50 years. This observed increase is due primarily to human-induced emissions of heat-trapping gases. Climate changes are already affecting water, energy, transportation, agriculture, ecosystems, and health. These impacts are different from region to region and will grow under projected climate change. Drought, related to reduced precipitation, increased evaporation, and increased water loss from plants, is an important issue in many regions, especially in the West. Floods and water quality problems are likely to be amplified by climate change in most regions. Declines in mountain snowpack are important in the West and Alaska where snowpack provides vital natural water storage. The amount and rate of future climate change depend primarily on current and future human-caused emissions of heat-trapping gases and airborne particles. Responses involve reducing emissions to limit future warming, and adapting to the changes that are unavoidable." Learn more. "It seems that the debate on the authenticity of global warming and the role played by human activity is largely nonexistent among those who understand the nuances and scientific basis of long-term climate processes. The challenge, rather, appears to be how to effectively communicate this fact to policy makers and to a public that continues to mistakenly perceive debate among scientists. " (January 2009) Learn more. "Oreskes analyzed 928 abstracts published in refereed scientific journals between 1993 and 2003 and listed in the ISI database with the keywords 'climate change.'... Of all the papers, 75 percent either explicitly or implicitly accepted the consensus view that global warming is happening and humans are contributing to it; 25 percent dealt with methods or ancient climates, taking no position on current anthropogenic [human-caused] climate change. Remarkably, none of the papers disagreed with the consensus position." ﻿ Learn more. "The changes observed over the last several decades are likely mostly due to human activities, but we cannot rule out that some significant part of these changes is also a reflection of natural variability. Human-induced warming and associated sea level rises are expected to continue through the 21st century... The IPCC's conclusion that most of the observed warming of the last 50 years is likely to have been due to the increase in greenhouse gas concentrations accurately reflects the current thinking of the scientific community on this issue." (2001) Learn more. "Scientists throughout the world have concluded that climate research conducted in the past two decades definitively shows that rapid worldwide climate change occurred in the 20th century, and will likely continue to occur for decades to come. Although climates have varied dramatically since the earth was formed, few scientists question the role of humans in exacerbating recent climate change through the emission of greenhouse gases. The critical issue is no longer "if" climate change is occurring, but rather how to address its effects on wildlife and wildlife habitats. The statement goes on to assert that “evidence is accumulating that wildlife and wildlife habitats have been and will continue to be significantly affected by ongoing large-scale rapid climate change. The statement concludes with a call for "reduction in anthropogenic (human-caused) sources of carbon dioxide and other greenhouse gas emissions contributing to global climate change and the conservation of CO2- consuming photosynthesizers (i.e., plants)." (2011) Learn more. "There is broad scientific consensus that Earth's climate is warming rapidly and at an accelerating rate. Human activities, primarily the burning of fossil fuels, are very likely (>90% probability) to be the main cause of this warming. Climate-sensitive changes in ecosystems are already being observed, and fundamental, potentially irreversible, ecological changes may occur in the coming decades. Conservative environmental estimates of the impact of climate changes that are already in process indicate that they will result in numerous health effects to children. Anticipated direct health consequences of climate change include injury and death from extreme weather events and natural disasters, increases in climate-sensitive infectious diseases, increases in air pollution–related illness, and more heat-related, potentially fatal, illness. Within all of these categories, children have increased vulnerability compared with other groups." (2007) Learn more. "The American College of Preventive Medicine (ACPM) accept the position that global warming and climate change is occurring, that there is potential for abrupt climate change, and that human practices that increase greenhouse gases exacerbate the problem, and that the public health consequences may be severe." (2006) Learn more. "Support the findings of the latest Intergovernmental Panel on Climate Change report, which states that the Earth is undergoing adverse global climate change and that these changes will negatively affect public health. Support educating the medical community on the potential adverse public health effects of global climate change, including topics such as population displacement, flooding, infectious and vector-borne diseases, and healthy water supplies." (2008) Learn more. "The long-term threat of global climate change to global health is extremely serious and the fourth IPCC report and other scientific literature demonstrate convincingly that anthropogenic greenhouse gas emissions are primarily responsible for this threat….U.S. policy makers should immediately take necessary steps to reduce U.S. emissions of greenhouse gases, including carbon dioxide, to avert dangerous climate change." (2007) Learn more. 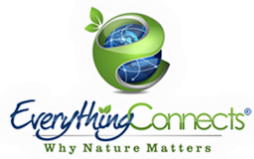 "Global warming is well recognized by scientists around the world as an urgent public health and environmental concern. Primarily due to the consumption of fossil fuels, increased levels of greenhouse gases in the atmosphere are causing higher global temperatures that bring adverse environmental, air quality and public health consequences. According to the 2007 report on climate change by the Intergovernmental Panel on Climate Change (IPCC), global temperatures have risen by 1.3°F over the past century and are likely to rise between 2° and 11.5°F by the year 2100*. Global warming has been observed to contribute to poor air quality, rising sea levels, melting glaciers, stronger storms, more intense and longer droughts, more frequent heat waves, wildfires and other threats to human health. On April 17, 2009, the United States Environmental Protection Agency (US EPA) issued a proposed finding that greenhouse gases contribute to air pollution and endanger the public health and welfare of current and future generations." Learn more.